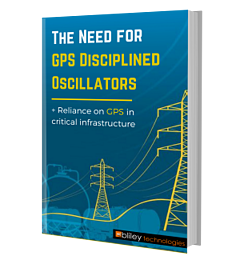 In this post, we'll take a look at the three types of OCXOs available for RF engineers to meet individual design priorities such as frequency precision, warm-up time, crystal aging, and power consumption. 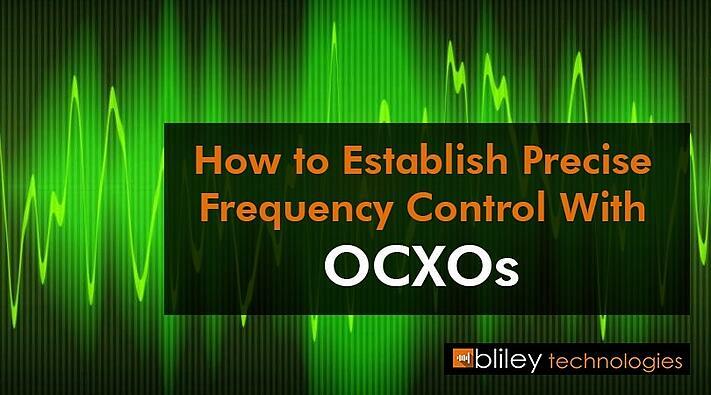 OCXOs are required when a simpler TCXO (temperature compensated crystal oscillator) can't meet the demands of a challenging working environment for precise frequency control applications. All crystals have a "turning point," the optimal temperature at which equal changes in temperature will result in a minimum change in frequency. The turning point of the crystal is achieved by the angle of the cut of the crystal from the blank, and other crystal design factors. Each crystal will be slightly different in any case, and the turning point or oven set temperature must be finely tuned for each produced device. Crystals have an inherent lattice structure. The cut angle of the crystal blank has a high impact on oscillator performance. Entry level OCXOs use crystals manufactured with the temperature compensated AT cut, angled so that the temperature coefficients of the lattice will have minimum impact on the crystal performance. The AT cut is suitable for a wide variety of applications as long as the turning point temperature of the crystal doesn't need to be set too high, at which point frequency drift increases again. For higher turning point applications the SC, stress compensated, cut is the solution. The cut of the crystal is similar to a woodworker's compound miter cut. The SC cut is superior to the AT cut at elevated temperature ranges from -20C to +200C. The FvT (frequency vs temperature) performance can be as much as five times better. The SC cut is also less sensitive to crystal aging. As with any electronic design, there are always the inevitable trade-offs to be considered depending on the application. See our article for an in-depth comparison of the frequency vs. temperature stability, crystal aging, g-sensitivity, initial frequency accuracy, availability, and cost of AT and SC cut crystals. Bliley's Ultra-Stable OCXOs feature simple surface mountable design, with very high stability vs. temperature as well as quick warm up, low age rates, and minimal phase noise. They are available in two footprint sizes for a perfect fit to your applications. You can get full datasheet downloads for our ultra-stable OCXOs at this link. 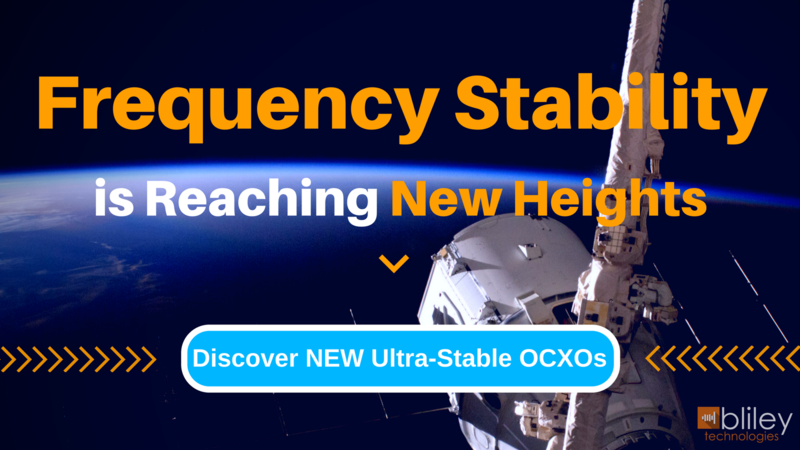 Basic OCXOs provide frequency stability in the 50 PPB (parts per billion) range. As the RF spectrum becomes increasingly crowded with telecommunication devices and new expanding technologies, frequency control now requires precision to 1 PPB. Clean source signals for clocks in microwave communications and the need for high accuracy in medical, measuring and testing devices, and sources for instrument reference are all applications which require the 1PPB precision of the DOCXO. At Bliley Technologies we're committed to providing the best frequency control devices in the universe with quartz crystals of unequaled quality. We understand the challenges RF engineers face when balancing the tradeoffs of electronic design for individual applications and we provide the OCXO options you need to meet your individual application priorities of control, power consumption, accuracy, the life of the device, and demanding work environments. For all of your frequency control needs don't hesitate to contact us.